Athletics - De La Salle College "Oaklands"
St. John Baptist De La Salle's vision of an educational community with faith and zeal is reflected in our athletic program. The school offers a large variety of individual and team sports spread out over three seasons to give students ample opportunity to get involved and compete against other schools in the Conference of Independent Schools Athletic Association (CISAA). Dedication, hard work and commitment are instilled in our student-athletes through the guidance of our coaches, which in turn promotes strength of character and self confidence. Students also have the opportunity to join intramural leagues and after school fitness clubs, so everyone can participate in the advancement of health and wellness. Success is not only measured on the scoreboard, but on how our students learn to respect teammates, officials, coaches and opponents. Student-athletes will leave De La Salle with a healthy view of competition and leadership qualities to carry them into the future. De La Salle Arena was built in 1966. The arena opened for school use in late November 1966. 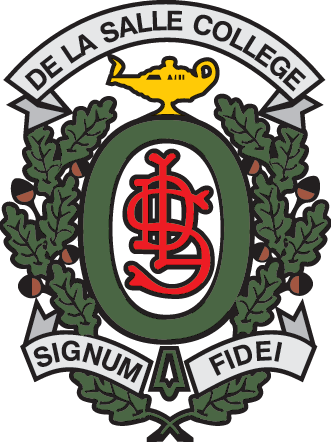 The official opening took place January 1967 for the students, parents and the De La Salle community. The Toronto Maple Leafs were our official guests during the January opening, that was the last Maple Leaf team to win the Stanley Cup in the spring of 1967. The arena was built as a 6 month operation which was an upgrade from the old outdoor rink that stood in the same place as the new indoor rink. The arena’s operational season grew to be an 8 month season over the years and was upgraded in 2007 to become a year round facility. The arena was built for school use. Ice time rentals pay for the operational costs allowing the school to use ice time at no cost. The arena runs on a tight budget and any profits go to student scholarships. Brother Arthur Brockman was a teacher, prep school principal and also the manager of the outdoor rink and the new arena. Brother Arthur was one of the driving forces behind the building of the arena. Brother Arthur hired Scott Barber, the current arena manager, as an arena operator in 1970. Scott watched the building of the De La Salle Arena in attendance as a grade 5 student and was at the official opening. Scott is now 50 years at De La Salle College as a student and arena employee. Our sports field is located on the lower campus on the south side of the property. 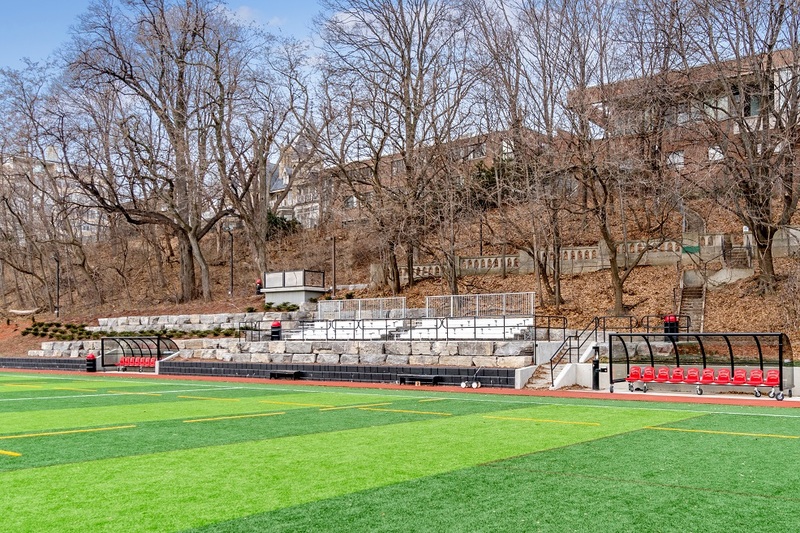 The facility includes a new state-of-the-art, FIFA-approved, artificial grass field, rubberized track, long jump pit, sheltered team benches, new seating area for fans, and electronic scoreboard. Our gymnasium has an elevated spectator observation level surrounding the gymnasium that is also used by our athletes for walking/jogging. Our multipurpose outdoor Sport Court is located just south of the gym and is constantly being used as a play area for intramurals and various sports and activities. The east side of the Sport Court has a batting cage and golf driving range area. Our Weight Room attaches to the gym and is equipped with top of the line Hammer Strength equipment. Our new Wellness Centre is used for various fitness activities and includes cardio machines, yoga mats, a Smartboard, and various exercise equipment including spin bikes.